Over 5.3 billion devices across windows, Linux, ios, and android are affected with a new attack vector called BlueBorne. Unless traditional attacks, this attack vector spreads over the air via Bluetooth and hacker does not need to pair with each device. If Bluetooth is turned on, the hacker can get control of the device, spread the malware, all process will be undetectable by the victim. Since attacker only requires the Bluetooth to be turned on, with BlueBorne attack the infected device can further connect to infect any other device such as laptops, smart watch, smart phone or any other Bluetooth enabled device. There is no way of detecting or stopping the attack, as it is invisible. But thankfully there are security patches released for all the platforms that are affected. 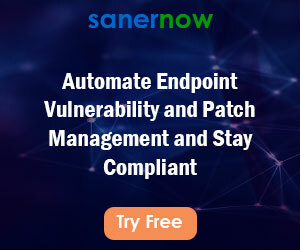 Click here to understand, how Saner can help organizations to protect against “BlueBorne Attack” and similar threat’s on Windows.